Isabell and Bowser Jr.. took me an hora to complete. I think it's really cute, Bowser Jr. got a crush on Isabell, the new girl at dia care!. HD Wallpaper and background images in the super mario bros club tagged: nintendo bowser jr isabell New love. 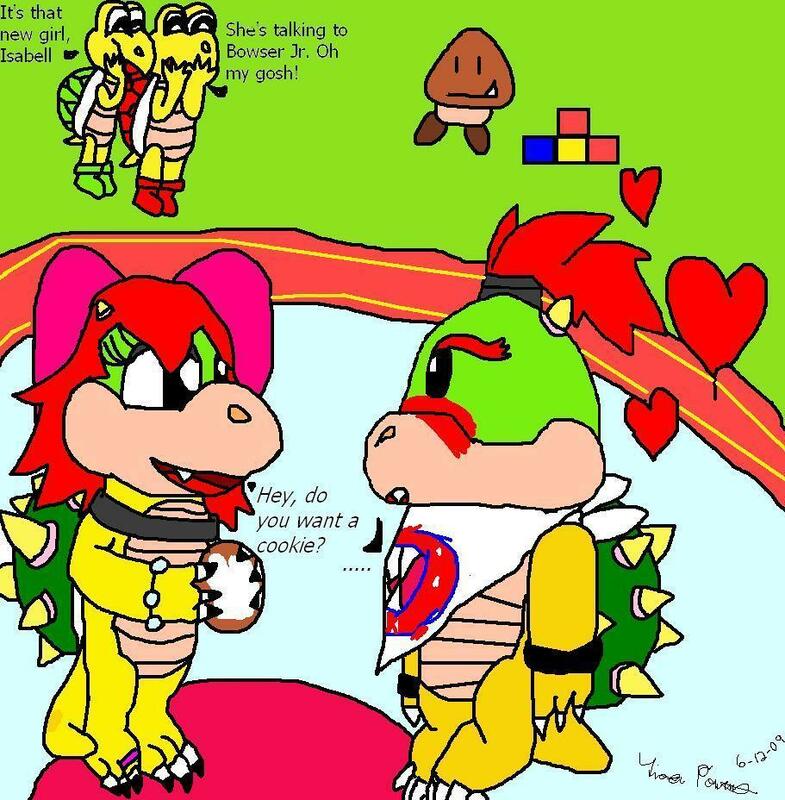 Awww.That's so cute that Bowser Jr. loves that girl.But it's kinda weird that he fell in love in day care.